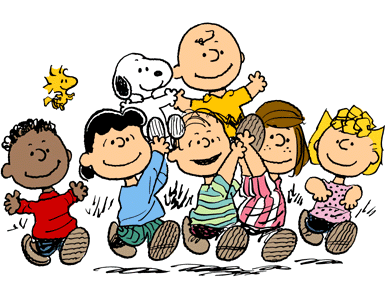 image source: Click Here Art by Charles Schulz. I finished college back in 2006 and I think constantly about going back to get either another bachelor’s or a masters degree, and then I realize I like just having one debt, which is the car loan, it helps me to sleep at night not having debts, blame my father who still pays in cash for everything whenever he can. Now the reason why I’m thinking so much about college is because I just bought my tickets to go to Panama and of course I tell some of my close friends and those are my college year friends, Leo, Ileana, Jimara and Emma. We went through so many things together, enjoying the same classes, disliking the professors, and of course working endless of projects until late at night. I have so much respect for my friends; they all have jobs and always keep pushing themselves with side projects, just like when we were in college. Jimara is a Photographer, Emma is now a great musician, Ileana does Web Design and Blogs about Beauty & Make Up; Leo is an Illustrator and Graphic Designer and me well I’m a Marketing Consultant, Photographer and Blogger. 2003 was an amazing year, super heavy for all of us, I think in that time I started dating who is now my husband, but right before we were all single, going crazy over Graphic Design and Advertising, of course what would be of us without anime, specially Emma introduced me to these lovely animations, and now they are one of my favorite things to collect. I won’t make this post too long I’m just sharing a bit of myself and how these amazing people still are present in my memories and I owe them so much of my knowledge and team working spirit. If I had to do it all again, it would only be a pleasure! Tal vez el tiempo pasa, pero los hermosos recuerdos QUEDAN!! Amo esta foto!!! abrazos a todos!! Wao a pasado tanto tiempo, nuestras vidas a tomado sus camidos, pero aún relacionadas en el arte con distintas expresiones y aún seguimos siendo amigos y se que será por siempre, abrazos te espero en Panamá.